David Artell began his career with Rotherham United, as the "Millers" won successive promotions from the Third Division to the First Division in 1999–2000 and 2000–01. He joined Shrewsbury Town on loan for the 2002–03 season, before successive two-year spells with Mansfield Town and Chester City, then joining Morecambe in July 2007. He joined Crewe Alexandra in June 2010, and captained the "Railwaymen" to victory in the 2012 League Two play-off final. He joined Port Vale in July 2012, but switched to Northampton Town the following month. After a loan spell at Wrexham in February 2013, he joined the club on a permanent basis seven months later. He signed with Bala Town in summer 2014, and then Port Talbot Town in February 2016, and then Kidsgrove Athletic and Droylsden in 2016. He also won seven caps for the Gibraltar national team in 2014 and 2015. 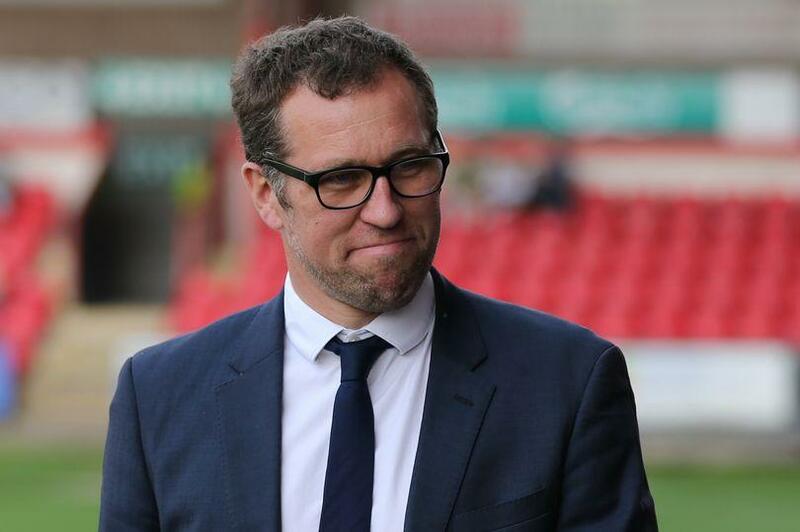 On 8 January 2017, David was appointed as Crewe Alexandra's first team manager, replacing Steve Davis. One of his first moves was to appoint another ex-Crewe player and former Bala teammate Kenny Lunt as assistant manager. With his side facing the possibility of relegation out of EFL League Two after a 4–0 defeat at Hartlepool United on 28 February, he warned his players that "relegation means oblivion... they'll end up in the Conference North on £200 a week with a job as a milkman." He managed to get the reaction he was looking for as Crewe won four of their next five games in March to move towards mid-table safety, a team performance that helped earn Artell a nomination for EFL League Two Manager of the Month. The "Railwaymen" ended the 2016–17 campaign in 17th-place, and Artell released six players in the summer. He warned the remaining out-of-contract players to sign their new contracts quickly before he withdrew their offers, but said "we all had a say. It's not a dictatorship. I'm not Idi Amin or Pol Pot... it's evolution, not revolution, but we won't be happy with 17th in the table again next season". Crewe fared marginally better in the 2017–18 season, finishing in 15th position thanks to a strong finish to the season. Alex had been in 22nd-place in November, leaving Artell to state again that "We have to get out ourselves of the mire. It's win some games, or oblivion". Two months later he criticised his team's game management skills after they lost two games in a row from winning positions – including throwing away a 3–1 lead over Swindon Town to lose 4–3. On 20 February, Crewe lost 2–1 at home to Exeter City despite taking the lead on 88 minutes; Artell again criticised his player's professionalism and said: "That sums us up. Played well, better team, in the lead, snatched defeat from the jaws of victory. That’s been us over the course of the season". Alex's form improved following Exeter though, as ten points from a possible 18 took them over the 40 point safety mark by 20 March. On 5 May 2018, he selected a starting 11 who were all Crewe Academy graduates. In summer 2010, David graduated from the University of Chester with a degree in forensic biology, with the intention of going on to achieve a master's degree. He had previously studied a forensic and analytical science degree course at Sheffield Hallam University. Lorna Hickey thanked David for an interesting insight into his career and wished Crewe Alexandra a successful conclusion to their season.